Other information The Omega J960 wheel mounted jaw crusher features a robust design for use in both quarry and C&D Waste. 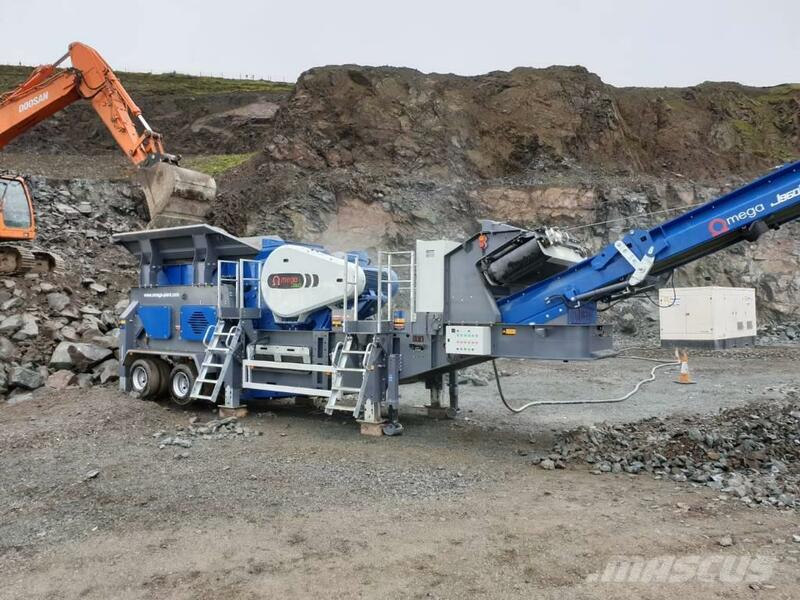 This crusher offers a quick return on investment, with high throughput at half the costs of conventional tracked crushers. •	The jaw opening is 960mm x 600mm reaching a consistent 180 tph through put on this single toggle jaw crusher, with tie back rod and spring. •	The drive is all electric with a 90kw motor producing zero emissions. •	The 3.8 cubic metre hopper. •	800mm wide vibrating feeder with electric drive motors, tilted floor to ease material movement and automatic stop/start. •	Fitted with a 700mm wide side discharge belt with 2000mm stockpile. •	Also fitted with magnet for removal of metals. •	Twin axles on the chassis with fifth wheel coupling. •	The machine measures 11,390mm long, 3,000mm wide and 3,298 high. Contact Mr Colin Daly for further information, photos and a quotation.